2018 is the year of email. 2018 is set to be a defining year for brands and their marketing activity. We are looking towards many uncertainties, from Brexit to a fractured political world. Changes in trade, legislation and technology, will impact on the way people buy and engage with brands. Then there is the elephant in the room: GDPR, which will have huge ramifications, not just in Europe but across the world, and the potential impact of China’s data regulations and security laws that insist on customer information being kept within the country. Fundamentally ‘resetting’ the way brands collect, use and store customer information, the arrival of GDPR is a watershed moment: the reality is that everyone needs to change the way they work. And that starts before the legislation becomes law in May 2018. One of the greatest effects of this will be the way brands use email in marketing and CRM. Perversely, this could be the biggest opportunity for brands in 2018. Collectively, around 183 billion emails are sent every day^ (though this number is likely to be an under estimate). The value of these emails varies wildly – just looking at your own inbox will highlight this perfectly. How many emails are left unread? How many are really valuable? How many are from companies you purchased one thing from years ago, or companies you have never interacted with? 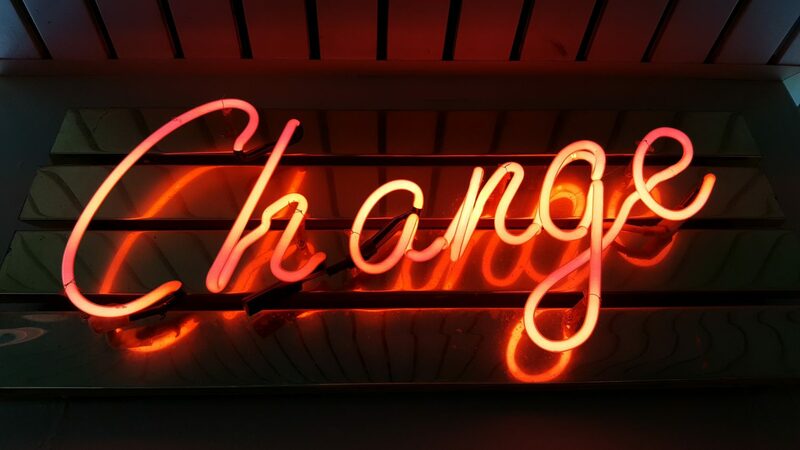 The fact is that change had to come and, if approached correctly, this change will represent a huge benefit for customers and brands. Email started out as a genuine value exchange for customers, where they would get access, recognition and exclusivity for their time and data. Over time, though, it has lost its identity, becoming just another way to sell something. Today, email often feels too heavy, long and formal for communication on the go. Our inboxes are stuffed and we just don’t have time to read through it all. The adoption of technology: mobile changed the rules on email. Content needs to be immediate and brevity is important. Video became an expectation, as did personalisation. Now we are starting to see the influence of voice activation with Siri, Alexa and others in both the home and car, where email may not even be something you read. Changes in consumer behaviour: The growth in more nimble, engaging services and apps, from Whatsapp to Slack and WeChat in China, has changed the nature of language (witness the the take up of emojis). How a brand manages its own internal systems and processes: there needs to be an editorial planning approach with the right team in place – one that recognises all the events and influences that happen, one that organises email communications with a wider perspective, and that places optimisation of the customer journey at the heart of the plan. In some ways, email had to die to change. Its gradual decline was brought on by a lack of attention, imagination and purpose, leading to a ‘landfill’ of communications that very rarely said anything interesting (and when it did, it was lost in the sea of other emails). It was a decline that saw value being measured by the numbers on a database, rather than any meaningful value to the brand. So, why is it such an opportunity? Well, because if companies are predicted to lose in the region of 75% of their customer database˚, what remains will be really people who are genuinely engaged. That’s a collection of customers who have a loyalty and interest in your brand and products. Email users are still set to rise to 2.9 billion by 2019*, so the cleaned list of customers will be more open to new products, new ideas, and probably want to work together for you if it’s worth their time and it feels personal to them. The coming year will see the emergence of more interactive and dynamic content, emails that are increasingly one-to-one targeted and personal, where the tone is more relaxed and focused, and most importantly, where they are shaped and wrapped around an understanding of the connected customer journey. Rather than a threat, by providing content and features that really tap into your engaged customer, brands should see 2018 as a year of opportunity. Authenticity is a word used a lot these days, whether it’s from the production of your food to the way a company acts to the rising use of social influencers and, of course, the proliferation of fake news. It’s about far more than just food, or the UK though. And we’d argue that it’s actually about more than authenticity too. That word has become a catch-all for craft and ‘hand-made’ – multiple stores and experiences claim to be ‘authentic’ when they’re as fabricated as the supermarket pork brands (Jack Wills2, we’re looking at you). A lot of this came from the desire to ‘tell stories’ that permeated the advertising landscape in the mid-2000s. As our trends change, so do our expectations from the brands we use. From our point of view, the natural evolution of authenticity is transparency. From production lines, to working conditions, to history, we’re finding that (as in the rest of life) if you tell the truth and are clear about things, people are more likely to believe you. Is this going back to an older and more traditional approach to advertising messaging though? Feature + Benefit = Reason for customer to buy. Going from the emotion-first-approach of the last fifteen years back to a much more product led approach? No – it’s more sophisticated than that. In fact, it’s about combining that sensible and explanatory product benefit, with something that tugs at the heart-strings too and, crucially, doesn’t feel like there’s any smoke and mirrors hiding things. Well, the monarch of authentic and truthful marketing continues to be Patagonia who are totally open in how they produce their clothes, how and why they sell them, and what their company is about. But it could be argued that even they aren’t going far enough. And proof that it doesn’t work… well, the old American Apparel store across the road from our office on the end of Carnaby Street speaks volumes. A transparent approach to product that didn’t manifest itself in the company’s own actions. As a movement, this is something we’re really excited about, from a communications point-of-view but also as consumers ourselves. Because not only does it give compelling reasons to align yourself to a company and their ethos but it actually works the other way too. As a company, you might not be super ethical or sourcing your products from the most responsible places. However, as long as you’re telling the truth and not trying to hide it, you’re giving your customers a reason to both respect and buy. 2018 will be a pivotal year for digital acquisition. The cleansing nature of GDPR is going to see the consumer database size diminish in quantity but not in quality. Brands will start to see much higher returns from their acquired consumers. Conversion and engagement will rise and the desire to feed the top of the funnel will seep into the boardroom. More and more brands will look to bring consumers back, topping their numbers back up to pre-GDPR numbers. Some will go with the good (offering a true personalised digital value exchange), the bad (hiding content and experience behind a wall), and the ugly (sign up for 30% discount). Brands that harness acquisition in 2018 have an opportunity to lead the way. Great creative that meets the consumer where they are while collecting data in an open and transparent manner will flourish. This is a time to break boundaries, try things not tested and engage prospects with campaigns built around influence, segmentation and storytelling. Offering a premise that consumers can engage with and believe in is the next step for brand purpose. Offer this and those consumers that engage will go on to become the most valuable leads and customers for years to come. CMO’s should look to 2018 to shift their consumers’ behavior, acquiring consumers’ data and delivering back an engaging promise that turns prospects into leads and leads into customers. Customer lifetime value will increase and the marketing cost of each customer will decrease. However, this doesn’t just happen on its own. To achieve it, growth-hacking brands must forget the bad habits of the past and embrace a more strategic, data-led approach. By identifying the trends and insights acquired from their data, they will reveal opportunities to understand consumers better than ever before, learning what their customers and prospects are really looking for and how they can be nudged further towards it. Acquisition and growth hacking will become central to many brands’ marketing plans in 2018. Those brands and agencies who can unite creative, branding, design, media, AI and data as a new mentality and skill will lay a foundation for years to come.